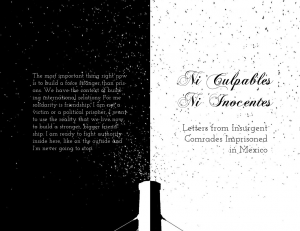 (…) Perhaps the words of Fallon, Amélie, and Carlos will inspire you to build friendships based on trust and affinity, to have each others’ backs, and to translate your own rage against the world of prisons and police and borders into actions. 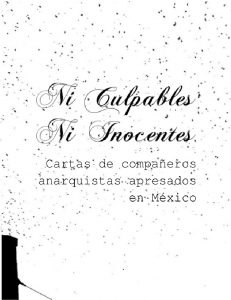 As Carlos “El Chivo” wrote, “I know that anarchist solidarity is strong like an oak tree, and that always goes farther than simple words.” And as anarchists everywhere never cease to remind us: it’s easy to attack. Somewhere between Mexico City and Montréal, March 2014.